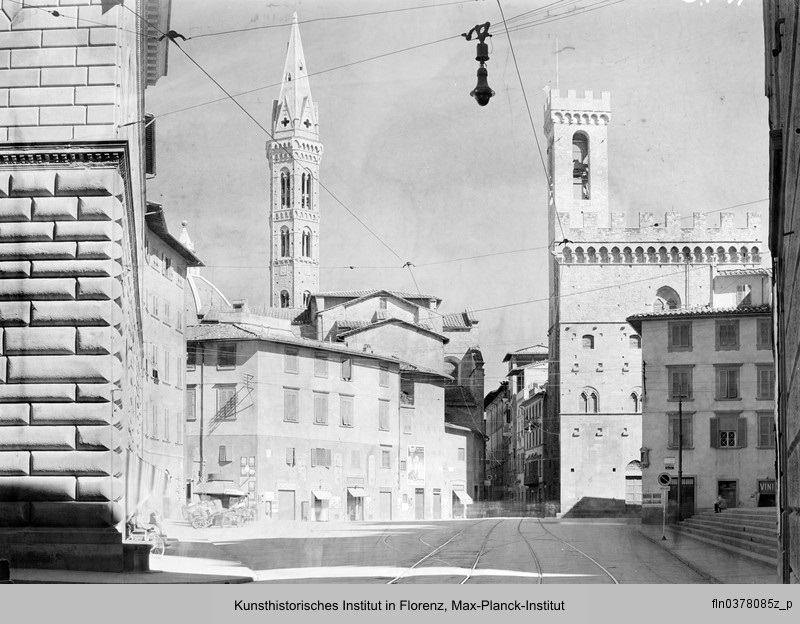 The photographs in this exhibition are a selection from a comprehensive study of the city of Florence for a book by the distinguished art historian, Friedrich Kriegbaum, director of the Kunsthistorisches Institute in Florence at the time that Hilde Lotz-Bauer took them between 1939 and 1942. It is an exceptional body of work for a number of reasons, although the book was never completed. Bauer's photograph's present the city of Florence at a unique moment in its history. She, Kriegbaum and the German scholars who studied the city and its art in the period immediately preceding the outbreak of World War II and its later extension into Italy, were making both an artistic and scientific record of the most important city of the Italian Renaissance. 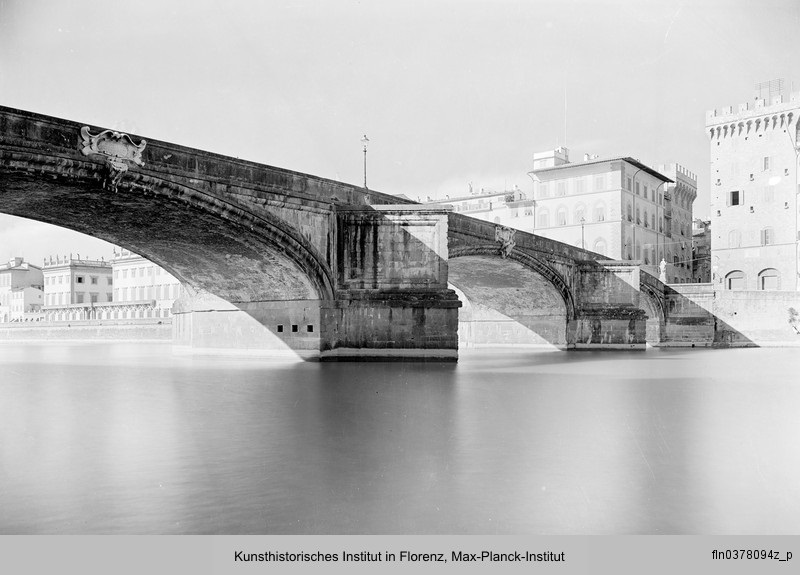 Many of the streets and bridges Bauer photographed were badly damaged or destroyed by Nazi bombardment only two years later, in the last few months of the war. 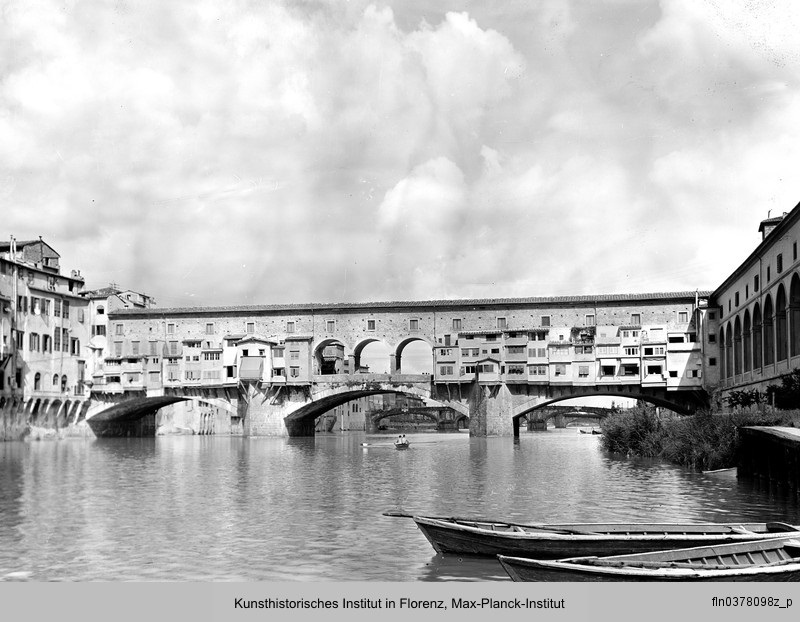 Twenty-four years later, the disastrous flooding of the river Arno caused possibly more damage than the Germany bombardment. 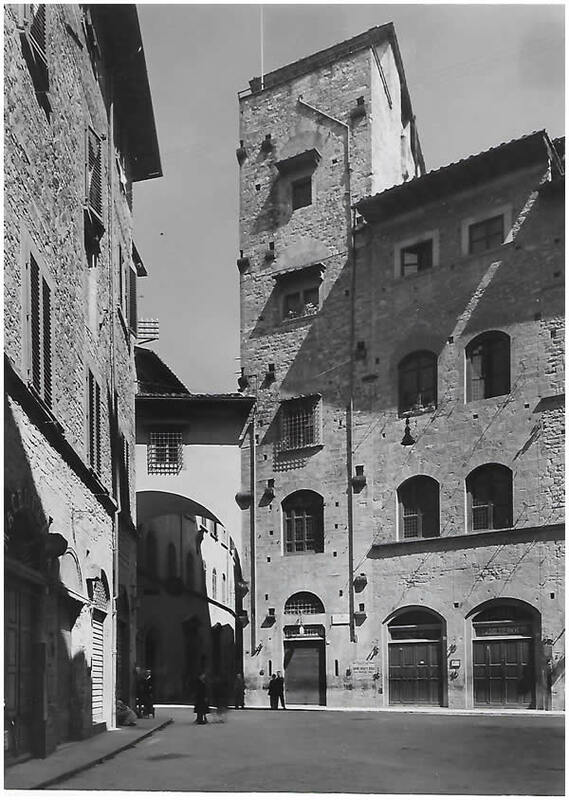 Tourists and pollution have continued to alter the appearance of the city, as well as acts of vandalism, such as the uprooting of the 'Porcellino' at the Straw Market. The photographs strive above all for an objective, accurate portrayal of the subject: all aspects of the city – its streets, its buildings, its courtyards, fountains, gardens, bridges and sculpture. There are no gimmicks, and the photographer never looks for a sensational or dramatic shot. Nevertheless, the beauty of the city emerges constantly. Not only is the omni-present motorcar entirely absent, but also people, so that the city can appear as it is, without the passing fashions of the momentary. Technically, Bauer has also been able to use the very bright, often too harsh Italian sunlight to accentuate detail and reveal areas that are so often lost to the eye. Most of the photographs were taken with a 13 x 18 wooden camera; a few were taken with a Linhof 9 x 12 cm, using a variety of lenses. Filters and wide-angle lens were avoided. Kodak and Perutz plates were used, as well as Kodak panchromatic glass plates. All the developing and printing were done by the photographer. Most of the negatives survived several moves, both during and after the war. Then they were donated to the Kunsthistorisches Institute in Florence, which retains the copyright.